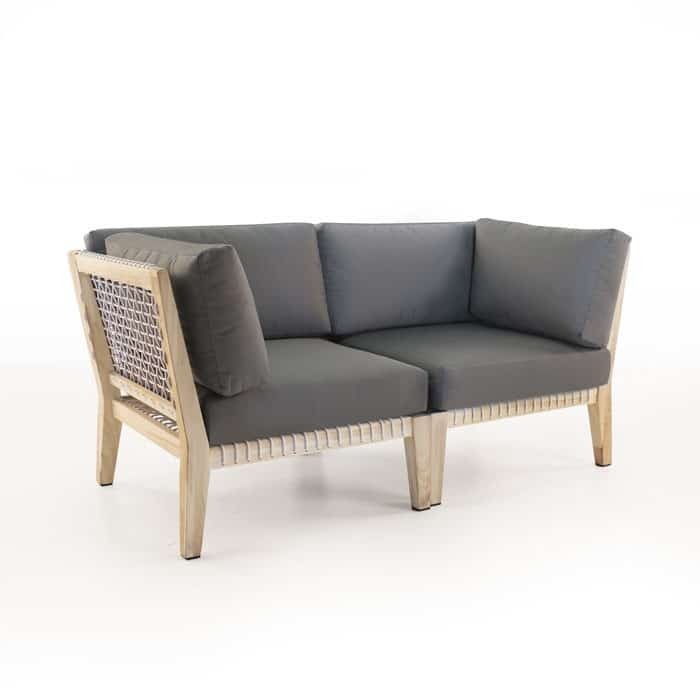 A versatile collection of sectional pieces that forms a perfect two seater sofa. 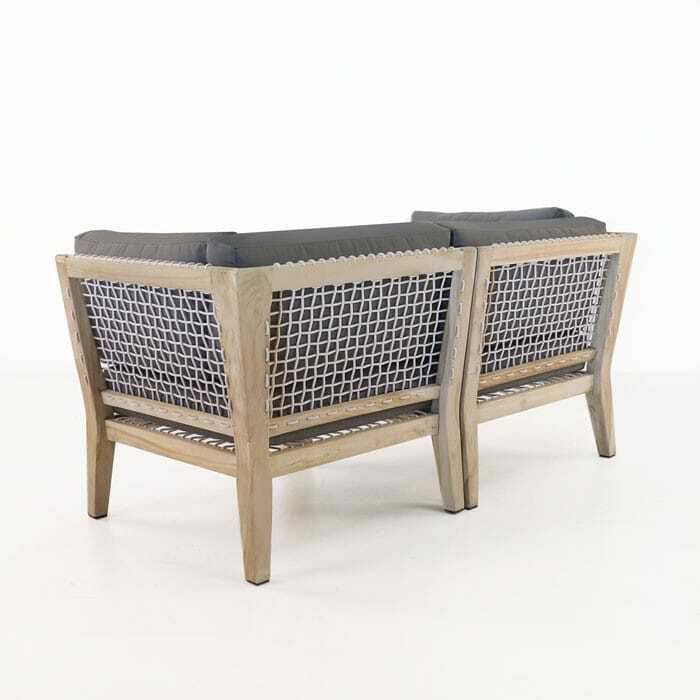 The Bay collection is a lightweight, beautiful teak outdoor sectional collection with a few interesting outdoor furniture innovations in its resume. 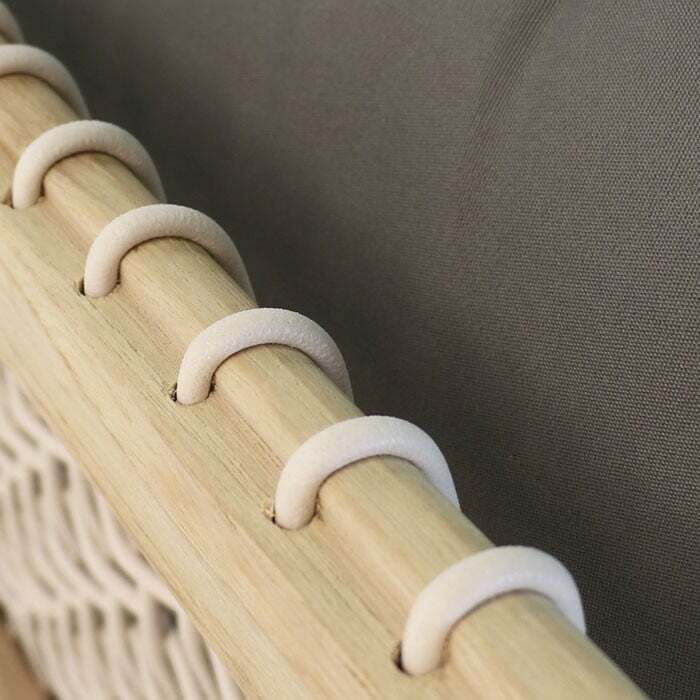 The frame is a washed reclaimed teak, which gives a light color and offers a solid frame, for the newest support structure we offer: Ecolene Polyethylene Rope. Ecolene Polyethylene Rope is a synthetic outdoor weave that offers excellent resistance to the outdoor environment; solid strength and excellent comfort. This synthetic rope is super-lightweight. The innovative weaving method offers a unique look to the Bay collection. This Bay 2 seater sectional sofa is a combination of two corner sectional pieces put back to back to form a perfect place to site with someone you care about. The Cushions come as shown and the footprint of this outdoor sofa is minimal.